White House has just revealed that they have killed 2 innocent hostages who were held by Al-Qaeda. Their deaths is a result of a U.S. drone attack. U.S. drone strikes are so feared in the middle-east and Pakistan to an extent that locals actually fear clear sky and feel secure when it is cloudy as they know drones don’t fly during such weather conditions. 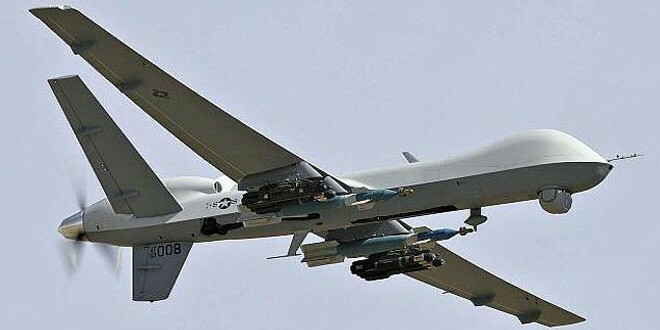 U.S. drone attacks has so far killed close to 2747 innocent civilians in Pakistan over the past 10 years. While the official U.S. reports paints the picture that the killed had questionable character, now that they have killed their own, they have forced to come-out with an official statement. Warren Weinstein, a contractor from Rockville, Maryland, was kidnapped in Pakistan in 2011. In a 2013 video released by his captor, Weinstein pled for his release and urged President Obama to take action. Giovanni Lo Porto, a 40-year-old aid worker held by the group since Jan. 19, 2012, was taken hostage in Multan, Pakistan. He graduated from the London Met in 2010 and had worked on aid projects in the Central African Republic and Haiti. Lo Porto was kidnapped along with his German colleague, Bernd Mühlenbeck. He was working with German NGO, the Welt Hunger Hilfe, at the time of his abduction. “No words can fully express our regret over this terrible tragedy,” Press Secretary Josh Earnest said, according to a White House statement. Now, that U.S. has got its own blood in its hands, hopefully they will put some limitations on the use of drones that has slowly killed 1000s of innocent people while targeting a couple of “suspected” & “unconfirmed” terrorists. Texts From Hillary - Is Hillary Running the World ? Previous: Tesco Books In An Epic £6.4bn loss!